I spent two days in Hong Kong plus a day in Macau (see here), and thinking about it, a lot of my activities are evening based, or could be. Check out this list & tips of things to do from my experiences, which you could definitely in about 48 hours! What did I do in my two days in Hong Kong? 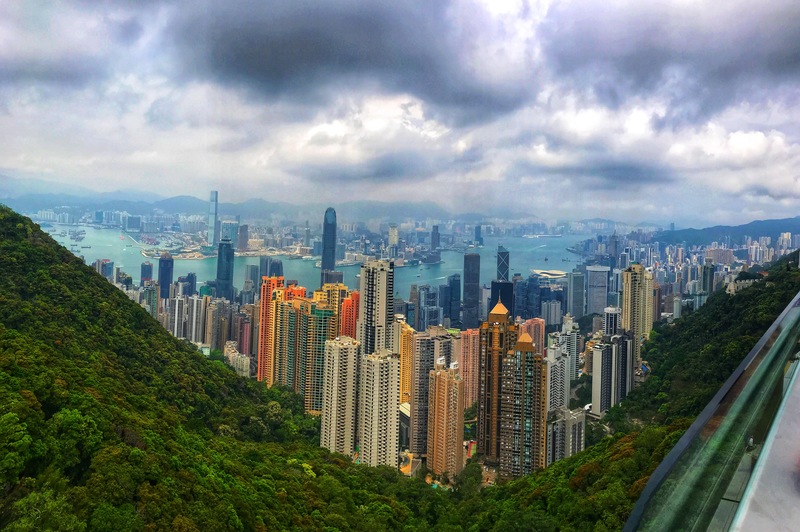 Victoria Peak – MUST DO, and can be done in the daytime, but recommended at around 4 – 6pm so you can see the city from the highest point in both day and nighttime; I didn’t do this, but definitely wish I had. If you go in the daytime, try going earlier to avoid queues. It’s $99 for a return tram ticket and time up on the viewing platform. Temple Street Night Market – the best market I saw in China (Rach said the same), all sorts of knock offs, trinkets, electrical items and much more. I didn’t walk the whole way up but it is much longer than you think – keep walking up and up to find more exciting stalls and some tarot card readers (top tip from Rach T). Bargain your evening away. Symphony of Lights – you gotta see this when you’re in Hong Kong, either head down the harbor (Avenue of Stars way) on Kowloon side of the water to watch the glorious skyline light up at 8pm each night. Alternatively, treat yourself to a drink at Felix bar, inside the Pennisula Hotel and take in the view from above. 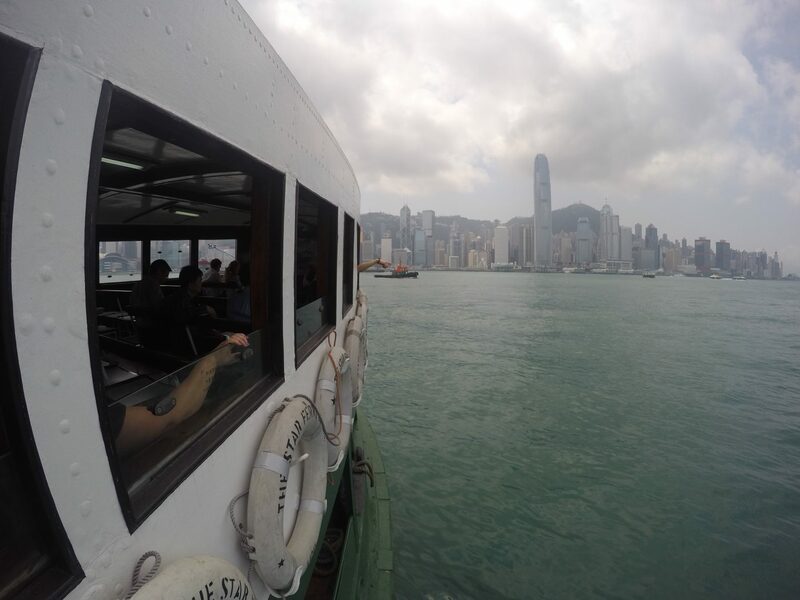 Star Ferry – take the cheapest ferry ever from Kowloon to Central Hong Kong Island for around $3 (basically 30p ish). Gorgeous views and long standing history in HK. 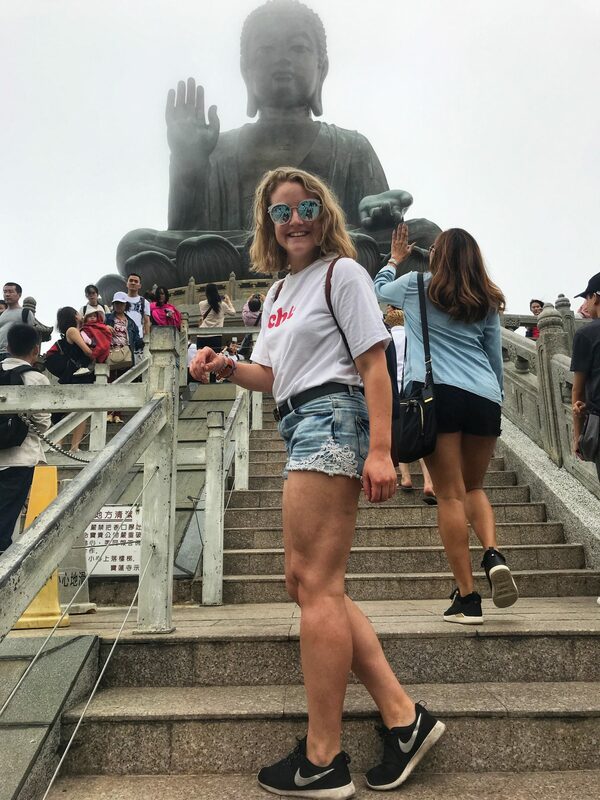 No matter how short, one, two days in Hong Kong this is a MUST DO! Hit the town – head to Soho in Central for masses of bars and clubs, heaving on a Friday and many busy during the week too. Try Geronimo’s for shots and RnB, Employees Only, Mokum and many more to dance the night away. I had a lovely drink at Mr Wolf too which has a terrace bar, perfect for a summer afternoon / evening. Big Buddha & the Po Lin Monastery at Ngong Ping on Lantau Island is a fun day out – you can take a 25 minute cable car right up to the top for views across Lantau (and the airport), just get the orange line metro to Tung Chung (right at the end of the line), signs for the cable car are very clear once you arrive. I would recommend getting there earlier and leaving early / mid afternoon as I arrived at 1.30pm and it took me 2 hours to queue and then take the cable car. The last car supposedly goes back down at 6pm, but as I joined the queue (I was so over queues by this point) at 5.30pm there was a 75 minute sign – and yes it really did take that long. Thankfully there was wifi so I could do some online life admin. Queuing aside, the location is really beautiful, especially across the mountains from the top of the Buddha site. There’s plenty of tourist attractions there, food, drink and some lovely walks into the surrounding mountain countryside. 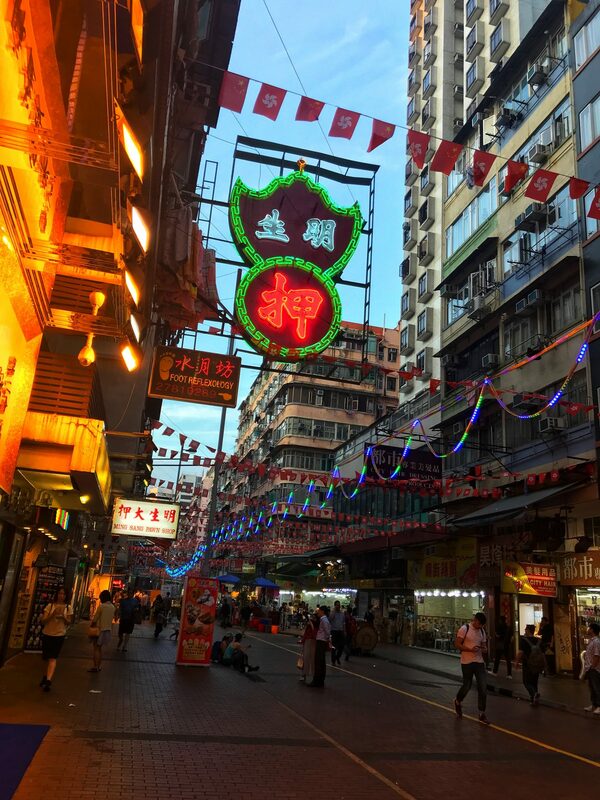 Getting from the airport – It’s super easy to get from the airport, theres a train to a number of the most central stations (Kowloon, Central etc), and then they offer a free bus service to some of the key big hotels in the area. Alternatively there’s a late night bus service too, which I got at 4.30am on the way home – took about an hour but at $23 it’s a bargain. Most things are in English and Chinese; Central & HK Island area seemed a lot more like London to me, and Kowloon was more Chinesey haha. Loads of shops, and people asking if you want handbags and watches haha, plenty of good food too. Try Coral Cafe on Nathan Street for a true HK fast food experience. There are loads more amazing things to do in this awesome city, but with just two days in Hong Kong you can see some highlights and experience.